By the looks of it, it seems that 2012 is going to be the year of the super hero. The Avengers movie has generated as much attention as it could be expected, the new Batman movie is well on its way and RPG land is indeed catching up with everything and everyone. The Marvel Heroic Roleplaying game is the first of this year’s releases, and it came with an incredible amount of success. However it would be unfair for us to forget there are other, very worthy indeed games that deserve just as much attention. That is the case with Mutants and Masterminds, from Green Ronin. This RPG, now it its 3rd edition, comes from the mind of Steve Kenson. If you haven’t heard the interview with Steve in the episode 29 of our podcast, now is a good time. Steve has been a comic book fan since he was a child and, thank goodness, his enthusiasm is greater than that of most people. He combined that with his sizeable talent to create Mutants and Masterminds back in 2002. M&M is a softcover book of 232 pages in full colour. The layout of the book is very pleasant. The colour coding at the top of the book to differentiate chapters is a good idea and it works remarkably well, so you will always know where you are. This becomes very handy for reasons I will go into in a bit. The font is easy enough to read. Although the size is not huge, the reading flow has been well taken care of and the book is in a good, cohesive order that introduces you gently and ends up revealing how deep, powerful and “crunchy” this game can be. The first chapter introduces us to the rules. My friends, this is what you can call a rules-light game. At around 20 pages, by the first hour of reading, you’ll know most of the stuff you need to know to get on with the rest of the game and find examples of gameplay. This is not the only chapter dealing with rules, but it does indeed get you into the basic rules system without scaring anyone. Oh, and it is a d20 based system. So yes, roll d20+ability modifier+circumstance modifier+bonus modifier+whatever else applies modifier vs. whatever it is you’re rolling against. Ok, that might be a bit simplistic, but you get the idea. You have to wait a bit before you get to your super powers, though. First you are taught how to create your characters. The character creation process is a fairly simple one. 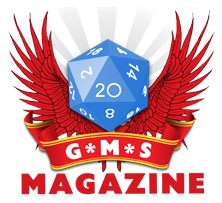 The GM will select a level of power for the campaign and, thus, the heroes (anything from vigilantes without super powers, to cosmic level entities with near omnipotence) and some points will be allocated to spend in abilities, skills, powers, etc. The most interesting aspect of this chapter is how much it encourages you to do two things. First is to communicate with your GM to create a character that will be congruent with the campaign at hand. Second is to think about the origins and personality of the character to fit the powers and campaign ethos. And thirdly to help you understand that you, simply can’t have it all and that, sometimes, you will be facing enemies that will crush you with a thought. OK, three things then. The creation process is a simple one, with spending points in your chosen abilities being the core of your actions. However, this becomes more complex because choosing powers and abilities that can create your power is crucial and both player and GM will have talk a fair bit before something can be “play proof”. This, for the record, is a good thing. Once you have decided what character to create, there are advantages, flaws and limitations to consider. They will help define the heroes and heroines’ actions and also give the GM a benchmark to use in order to create adventures or situations for the players to face. Eventually, after dealing with comprehensive chapters on abilities, flaws and advantages (which, by the way, are just as important as the super-powers themselves) we get to the super-powers, and this is there it truly gets crunchy. M&M doesn’t just give you a list of powers. Instead, it breaks every power into chunks that will help you create whatever power you wish. Yes, there are basic power descriptions, like fly or transform, but it is the ways the powers are adapted that make them, well, powerful. The same principle of variations applies to pretty much anything else. As you can imagine, the chances of creating truly different characters, full of idiosyncrasies, is tremendous. The true magic of the system, though, is that it also provides with tons of opportunities for storytelling, since all flaws and advantages can be used to add flavour to both character personality and adventures. The equipment section is just as comprehensive. From how to create a mechanised hero, to new equipment, have that equipment linked to super-powers, gadgets, costs… It’s there. If it isn’t, it tells you how to create it. For the GM, the adventuring chapter will be a blessing from the gods and goddesses. This chapter goes deeper into how to run the game and the rules that the first chapter didn’t introduce you to. Initiative, surprise, combat and general situation resolution are tackled from here and it’s done so in a simple but comprehensive manner. No matter if you are a new or seasoned GM, the advice in this chapter will be worth your time. Lastly there is also a chapter on adventure creation, with pretty much all you need to help you create your own adventures, from supporting characters, instructions on levels of threats, encounters, plots and adventure seeds. There are very few things I didn’t like in M&M. Some of the inserts in the powers chapter were out of place. You will find some description or additional information on super powers in a page that doesn’t have anything to do with the power itself. I am very picky about that sort of thing. On the other hand, the illustrations are, overall, very, very good and perfectly appropriate for the page and power at hand. So they provide the right visual clue al all time. They are not all in the same style though. There are some illustrations in a Marvel comics style from the 1960s and 1970s that look too different from the more modern style. This is not to say they are bad, they aren’t, but they clash a bit too much for my taste. I also wish there was a setting of sorts. A timeline with the origin of super powers, or some sort of history behind the whole game would have been a really nice addition to add more flavour to the whole experience. However, I doubt this will be much of an issue to anyone. With the sample characters and adventures seeds spread all over this book, adventures will be popping into the reader’s mind with great impetus! The writing is very much to the point. Not much fluff here. Kenson wanted to write a game about telling stories, not a story itself, and that shows. The result is a no-nonsense book that aims to train you and teach you all you need to know to play your adventures. This is both a blessing and a curse. There is no setting information here. No world where to play, no cities, no history. If you are a resourceful GM, this is not a problem. If you are coming into the game for the first time, it could prove a bit tricky. Also means there are no world adventure seed starting points. Luckily, the M&M community is huge and the online resources are plentiful, so you won’t be long without all the material you need. With the production values as high as those that Green Ronin has us accustomed to, you will end up with a strong book that will last for ages. Support for the game is second to none, with tons of material already existing and more coming pretty much on a weekly basis, you simply can’t go wrong. Four very well deserved stars for a terrific game. I have been increasingly dissapointed with The M&M series, and third edition took a small step forward while taking several large steps backwards. I do kind of wish they had made some use of their creative team rather than copy pasting identifiable tropes. The book dribbles with poorly concealed parodys of known and familiar characters and concepts, and while the system has become increasingly simpler over iterations, it still manages to borrow heavilly from older, more classic games. All in all a very pretty book, but the adequately functional mechanics are marred by hundreds of pages of snippets of better work. No mention is made of Freedom City (Mutants & Mastermind’s implied setting) in the Hero’s Handbook, and I agree that even just a page or two outlining it would have been a good thing. Additional supplements (both for this and Second Edition) detail is beautifully. Green Ronin (and Steve Kenson in particular) really understand their comicbook superheroes. I rate it as quite simply the best generic role-playing game, ever, cleverly disguised as a superhero rpg. We’ve used 2nd & 3rd edition M&M for everything from low fantasy games to gritty World War II sessions, not to mention lots and lots of superhero adventures, and it’s delivered every time – to the point where I have difficulty getting my players to play anything else! Character generation is as detailed or as complex as you want it to be. We run games where one player’s character sheet is eight lines long and another’s sheet runs to 6 pages. A lot depends on just how complex you want the powers to be. Sometimes “Blast 10” is enough, while other times only “Blast 8, Area:Cone, Increased Range, Unreliable, …..” will do. That’s as much up to the player as anything else in the game. In play, the game is everything you want it to be. Fast, dynamic and solid with plenty of scope (thanks the Hero Point mechanic) for both players & GMs to reward imagination and creativity. The game really shines when the Hero Points are flowing. Can’t recommend it enough. Brilliant game.